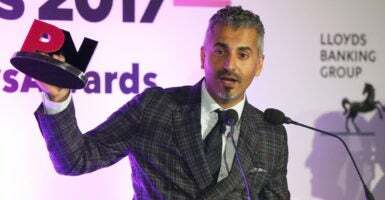 The controversial Southern Poverty Law Center has reached a settlement to anti-extremist organization Quilliam resulting in an apology and a $3.375 million payment for wrongly naming the group and its founder as anti-Muslim extremists. The SPLC originally placed the organization and President Maajid Nawaz in a list directed for journalists named the Field Guide for Anti-Muslim Extremists. “Mr. Nawaz and Quilliam have made valuable and important contributions to public discourse, including by promoting pluralism and condemning both anti-Muslim bigotry and Islamist extremism,” SPLC President Richard Cohen said in a statement. The money from the legal settlement will be used to “fund work fighting anti-Muslim bigotry and Islamist extremism,” according to a statement from Quilliam. Quilliam, an anti-Islamist think tank based in London, was founded in 2008 by former members of the Islamist group Hizb ut-Tahrir. In recent years, the SPLC has been the center of a number of controversies revolving around its decisions to classify certain individuals as bigoted or racist. In March and April, the SPLC was been forced to delete four separate articles accusing various individuals or organizations as having ties to hate groups after their accuracy was challenged.